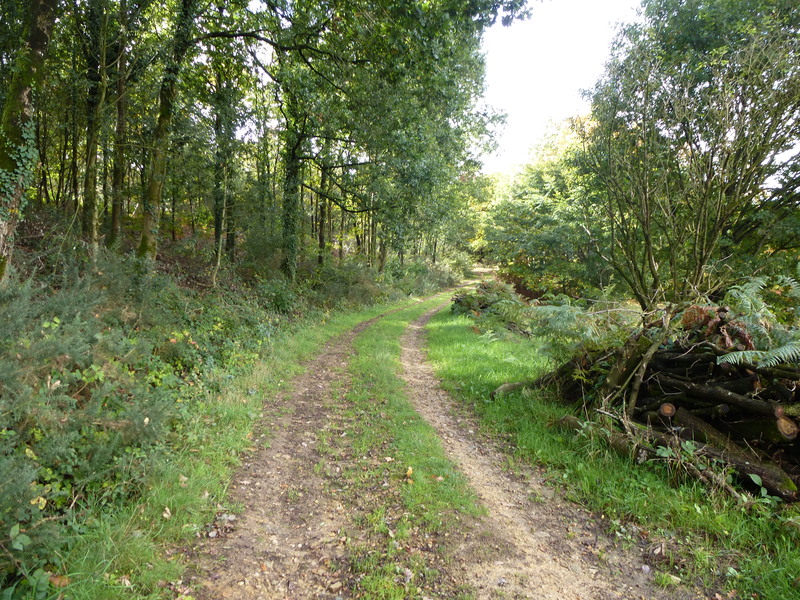 This month I’ve been back to Brittany, one of my favourite (and most successful) hunting grounds. Every time return to Morbihan, a region steeped in myths and legends, I wonder if I will finally run out of weird and wonderful places to discover, but every time I uncover more magical locations. This visit was particularly fruitful, so you can expect my next few posts to be filled with my Breton adventures! My first destination on this trip was the enigmatically named Courtil des Fées, a phrase which translates roughly as ‘fairy courtyard’. 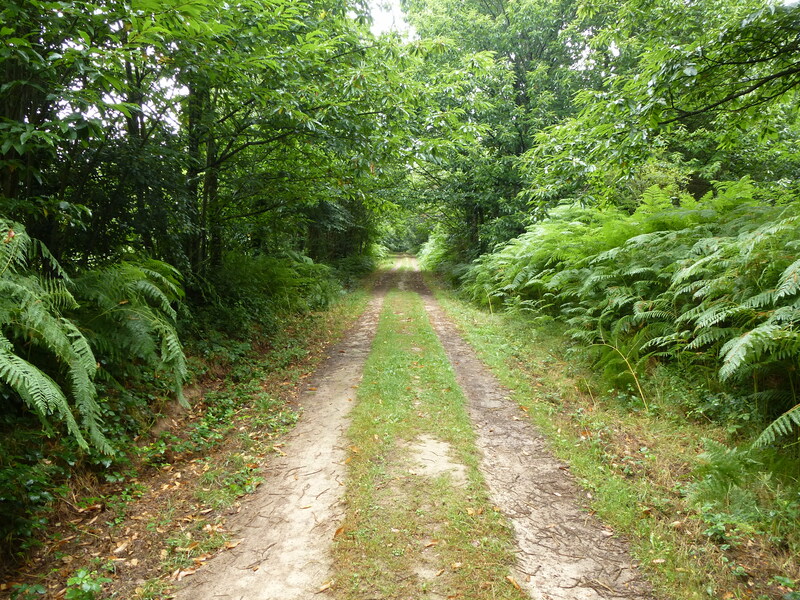 As with many of my expeditiions, the journey to the Courtil des Fées began with a track leading into shady woodlands, in this case the Forest of Houssa. Althought it was severely damaged by fire in the 1980s, this ancient wood is slowly reestablishing itself, and still retains its magical wildness. At this time of year, the path leading into the forest is noisier than usual, littered as it is with crackling branches and crunching acorns. The Courtil des Fées is located on a ridge high above the Oust valley, not far from the tiny village of Beaumont. 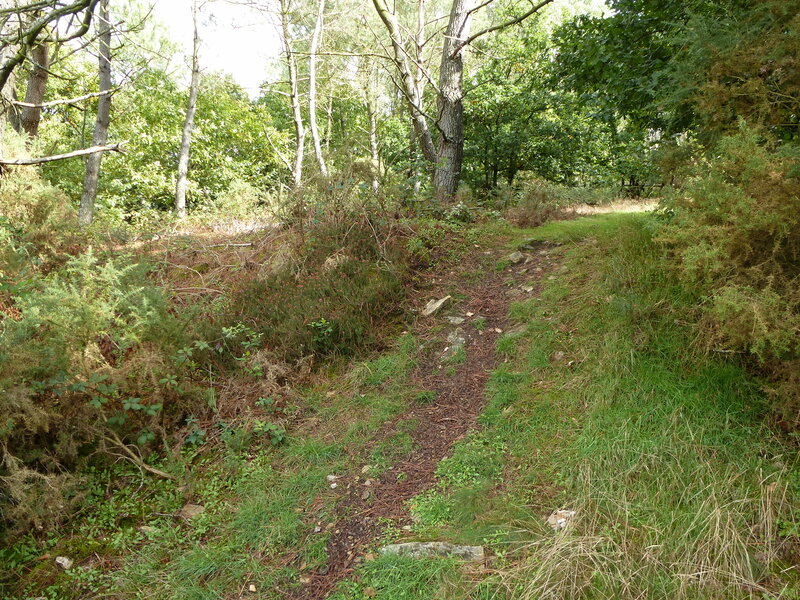 Archaeological investigations suggest that this ridge was inhabited by humans for many centuries before the trees reclaimed it. 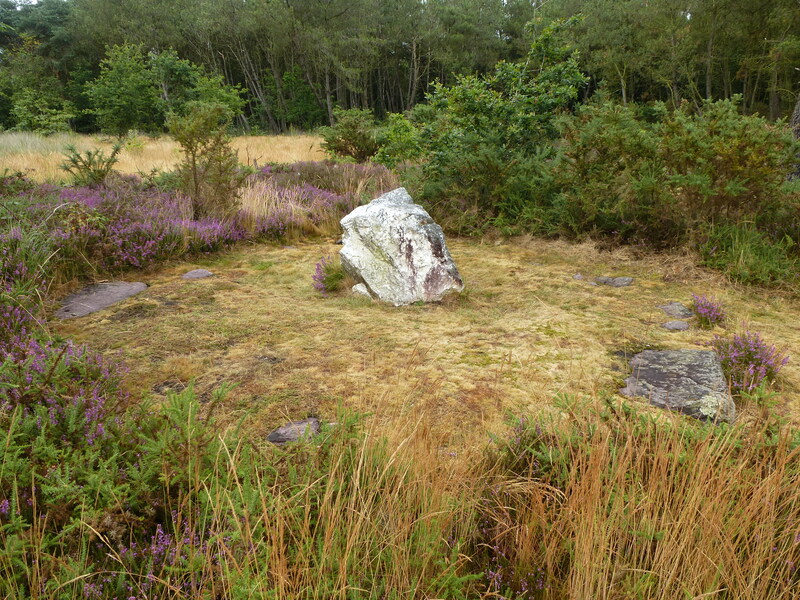 The first evidence of these ancient inhabitants that I encountered was the remains of a four thousand year old neolithic burial mound which lies deep in the forest, sitting in a pretty clearing surrounded by oaks, birches and ferns. 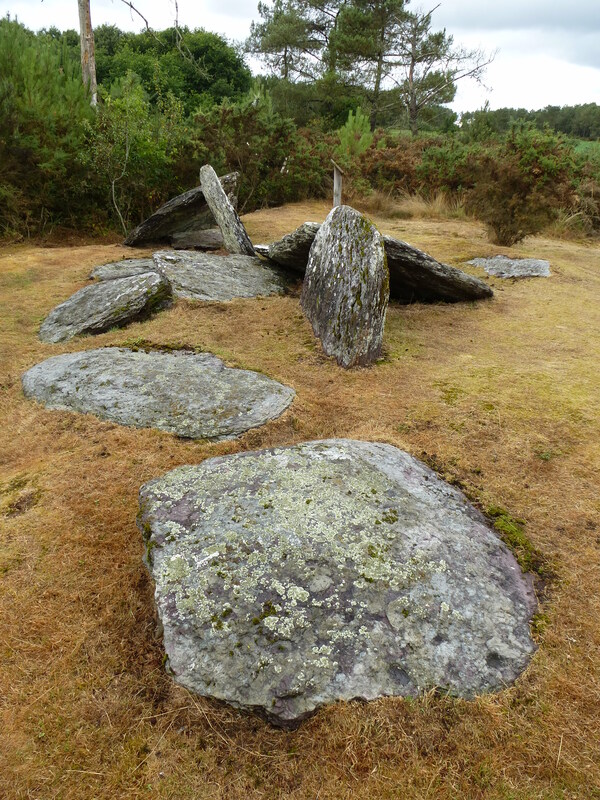 Just a few metres away can be found a small standing stone, which no doubt also formed a part of this ancient burial site. 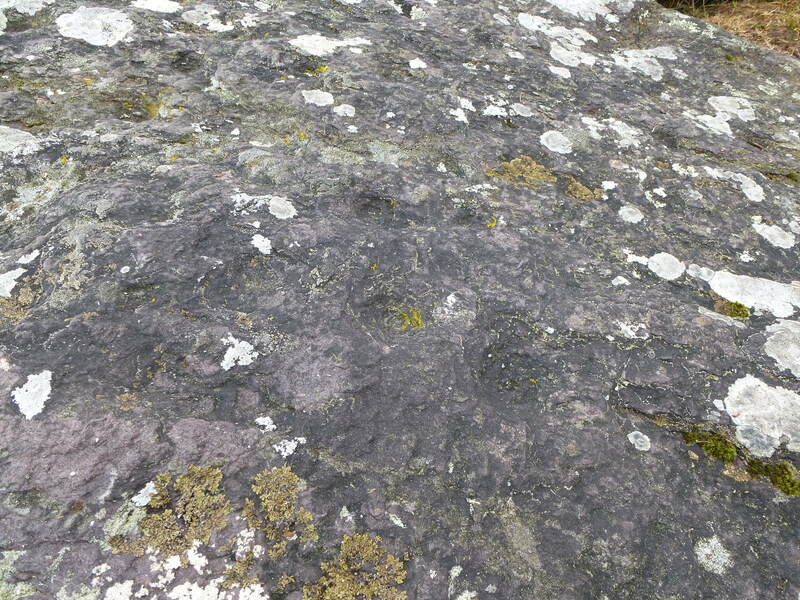 Some evidence of carved ‘cup marks’ can be seen on this mossy menhir. 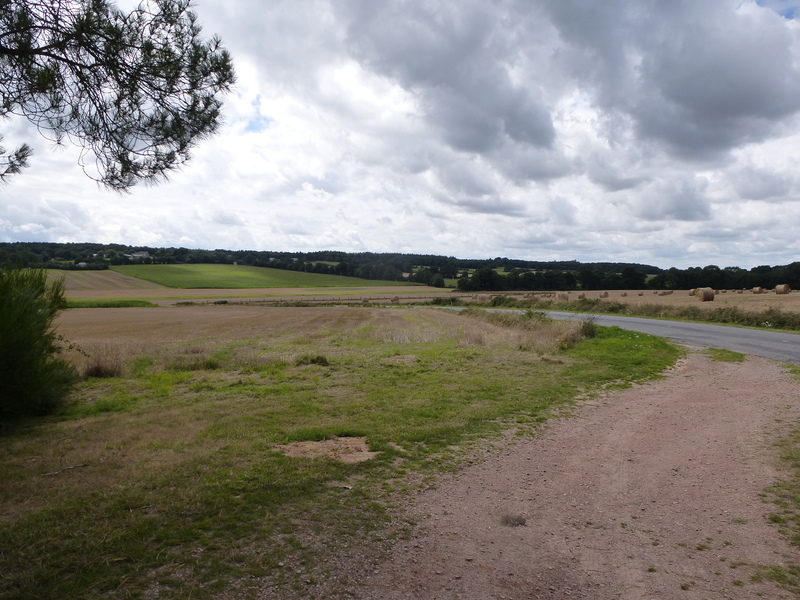 It’s just another short walk to the Courtil des Fées itself, a raised round earthwork with a diameter of around twelve metres surrounded by a ditch. Known for generations as a magical place, the Courtil has long been considered the haunt of fairies. But these fairies are not the sweet little winged sprites of Disney cartoons, but nasty, wicked imps who were reputed to steal local babies from their cots. Not surprising then that I approached this place with some trepidation. The Courtil is not particularly easy to decipher, or indeed to photograph, at this time of year, its ditch and mound rather lost in the autumnal undergrowth, but its raised platform is hard to miss. As I entered its circle, the sky darkened and the wind suddenly lifted, sending a shower of acorns and chestnuts clattering to the ground around me. If I hadn’t known better, I might have suspected that someone (or something) didn’t want me to be there. I had been promised a great vista of the valley below from the Courtil, but in fact the view was almost totally blocked by the dense wall of trees that surrounds it. In the end I didn’t hang around for long, taking a couple of photos before I headed off back towards Beaumont. As I walked away the sun reemerged and the wind faded. Back in the peaceful forest of Houssa, the Courtil des Fées far behind, I’m not ashamed to say that I breathed a tiny sigh of relief. Regular readers of this blog will be aware that I find it pretty much impossible to pass a signpost for any prehistoric megalith, obscure chapel or ruined castle without stopping to take a look. 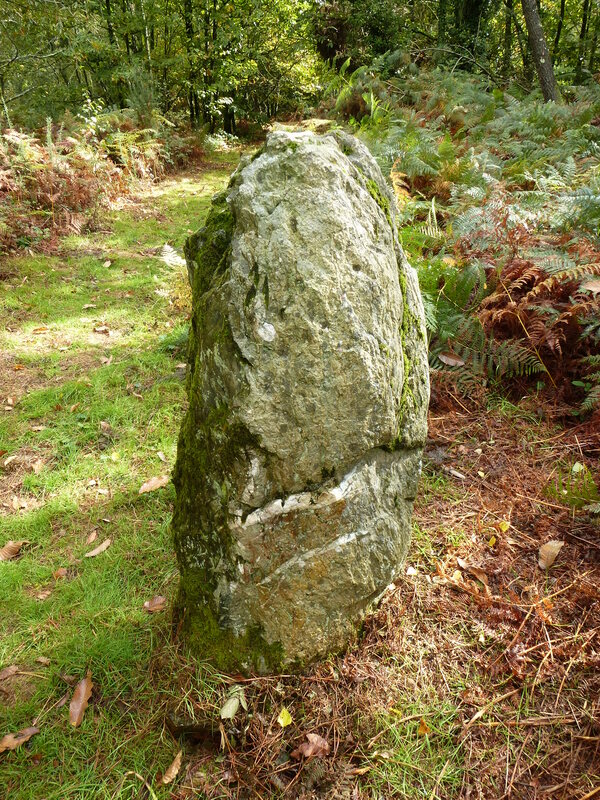 This means that my travels across Brittany can often be rather slow and time consuming, given the fact that the region is chock-full of magical ancient places. 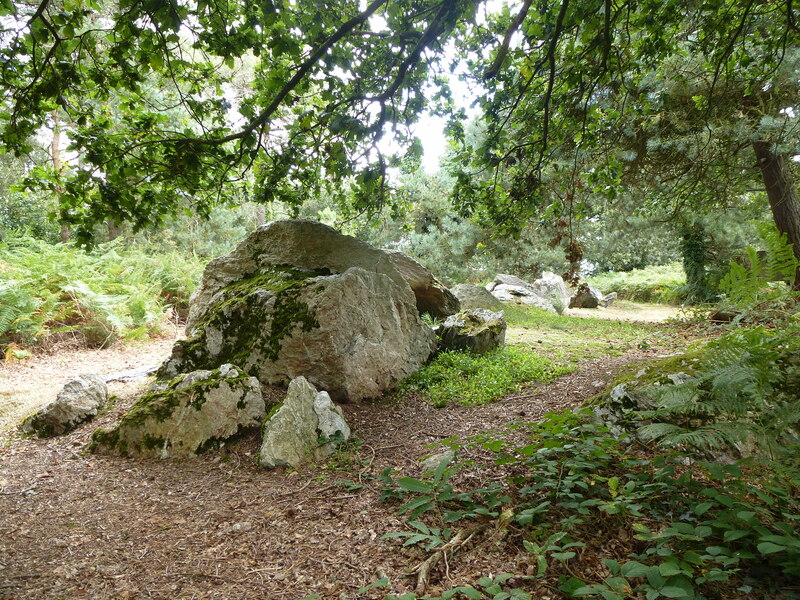 My most recent discovery was the allée couverte du Grand Village, near the little town of Caro in Morbihan, south-east Brittany. This fascinating ancient monument sits on top of a wooded ridge, not far from a winding country lane that I just happened to be driving down. 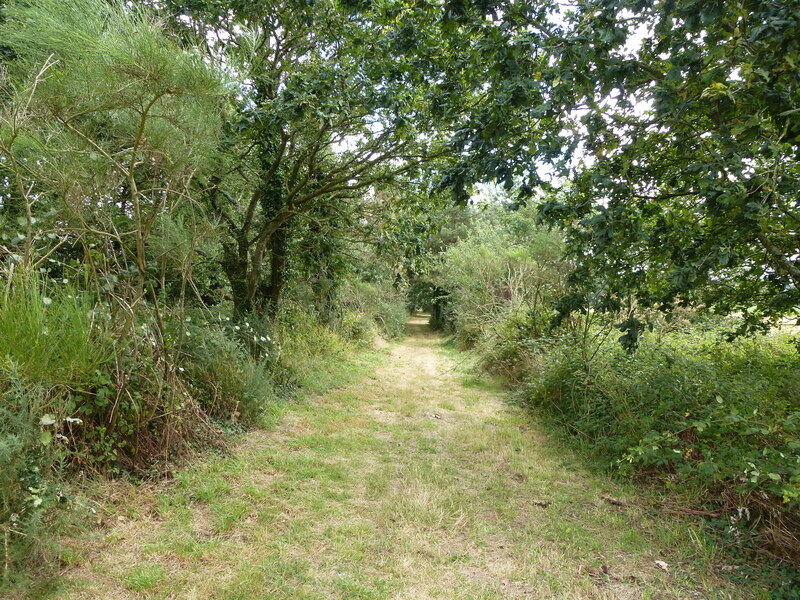 Leaving my car in the rudimentary car park, I followed the signpost down a narrow grassy path bordered on each side by dense hedgerow, its verdant bushes heavy with blackberries. 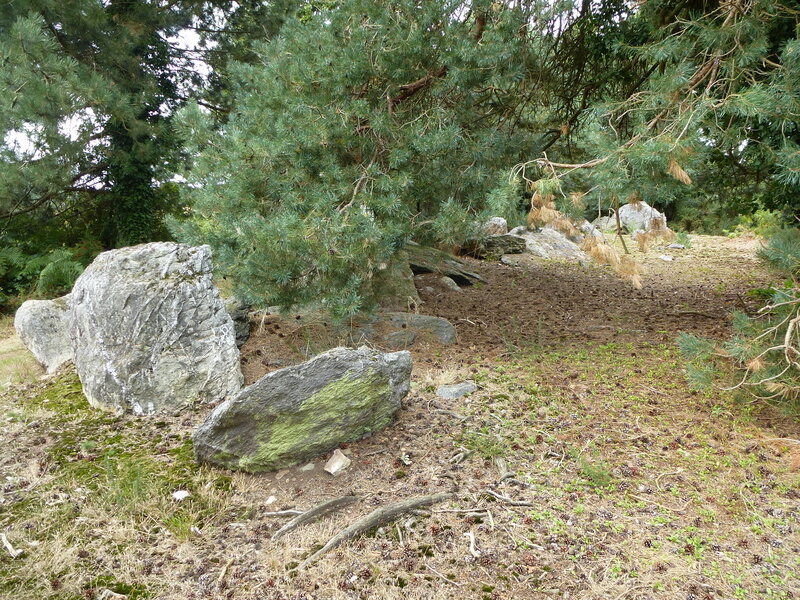 The allée couverte du Grand Village is a megalithic monument, an antique corridor of huge stones which once formed the heart of a large burial mound. Today the mound is long gone, and the stone corridor has collapsed into a higgledy-piggledy pile of rocks. At twenty five metres long, the allée couverte du Grand Village is the largest burial monument of this type in the region, and pretty impressive it is too. 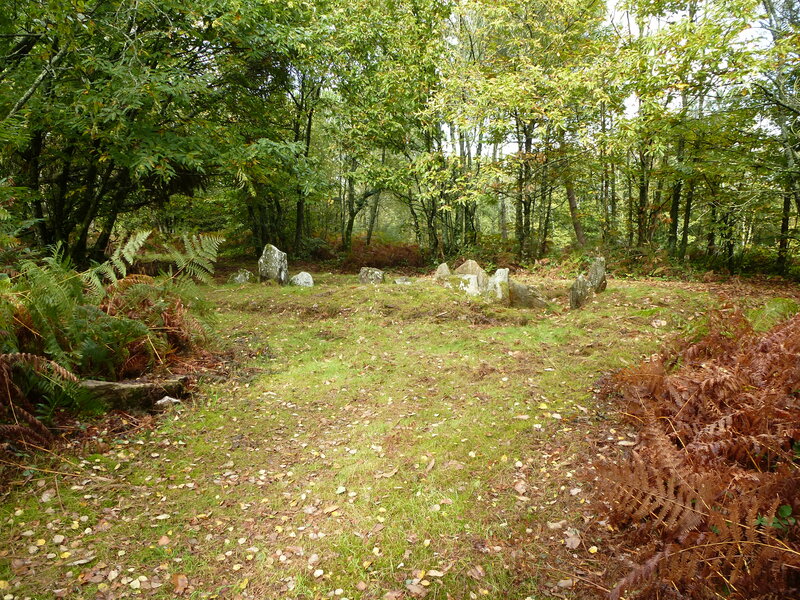 Sitting in the peaceful forest clearing next to the remains of this once mighty structure, it is easy to see how myths and legends of fairies, giants and sorcerers emerged in Brittany. To our ancestors, these tales were a way of explaining the existence of these mysterious remains, feats of engineering which were almost inexplicable to more modern minds. 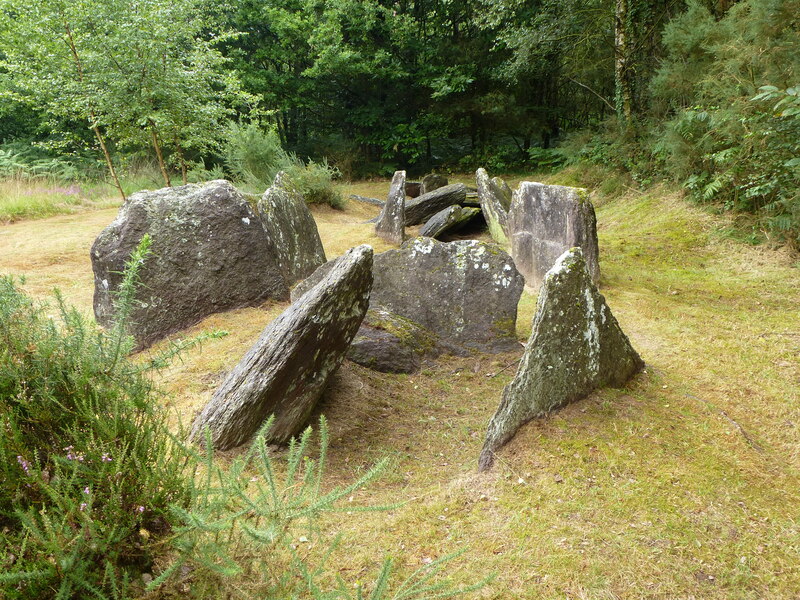 There is definitely something enchanting about Brittany’s megaliths and the beautiful landscape which surrounds them, something mysterious and magical, and the allée couverte du Grand Village is certainly no exception.